A good life deserves a good home-unforgettable memories start here! Our mission; for The Spotts Team, is to provide our clients with sound business advice and represent each client’s interests with the highest level of professionalism, intelligence, and integrity in the industry. This requires a commitment toward the job, creativity, and most importantly an extensive network of professionals to ensure a complete 5-star experience. Many realtors choose to spread their business over the tri-state area, an ambitious decision even for the most seasoned of agents. We chose a different business model. I know our local market. I know our product (neighborhoods and builders). 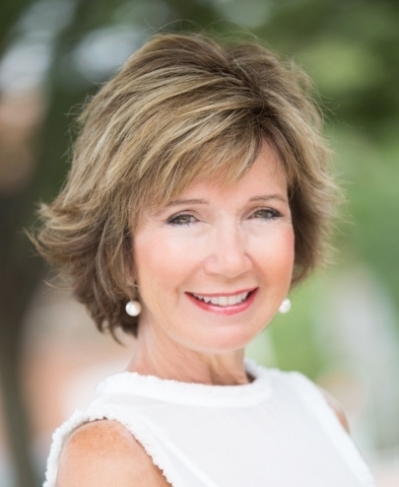 Tanya is a Long & Foster’s Relocation Specialists who works with corporate clients such as Exxon Mobile, Fidelity Investments, Merrill Lynch, Lexicon, Cartus, and the U.S. Federal Government, transferring and moving to and from Northern Virginia. Service -My business has grown dramatically over the years as a result of the service I provide. they know from personal experience that they will be well served. I look forward to working with you and your family, protecting your assets, your hopes, and your dreams. I am honored to help you with one of the most important financial commitments you will ever make. The core value of Long & Foster and The Spotts Team! 5 Star Rating on Zillow– My buyers & sellers have shown their appreciation of my service to their needs by placing wonderful reviews on Zillow. Luxury Homes– Long & Fosters exclusive affiliation with Christie’s International Real Estate an audience of high-net-worth. Social Media– I create unique, targeted digital campaigns on Facebook, Instagram & LinkedIn that drive awareness and create demand for your property. Aerial Photography– I have several professional photographers for you to choose which drone photography is best for you. I have technology make your listing stand out from the competition. Long & Foster has a global network of affiliates that advertise your listing over 800 websites. Your search ends here! No waiting for Easy living with fantastic outdoor living space to entertain this spring! 4 BEDROOMS, Updated Stainless Appliances, 2- Car Garage, Bright sun-drenched Windows, SS Appliances gorgeous updates including New Floors in Main Level and Bathrooms, New contemporary Painting throughout, New Roof, New Powder Room and Secondary Hall Bathroom Vanity, New Garage Doors,Interior & Exterior Light Fixtures and waiting for you to add your own personal touches. Mature Landscaping & Trees. Relax on the deck, listen to the sounds of nature, take walks, enjoy the nearby play areas,Indoor Aquatic Center, athletic fields, and the incredible scenery of nearby mountains . Easy access to Rt 7 for communiting, too! "I have completed three real estate transactions with Tanya now... I cannot say enough wonderful things about her! Tanya is a true professional and was always available for my communications and questions, even "after hours". Tanya was extremely responsive to other agents requests and explained each step of the buying and selling process. Tanya always keeps her client's wishes in mind and stands up for what is best for them. I could not recommend Tanya more and had I not moved out of state would continue to use her for all real estate services!!! Thank you for everything Tanya!" "Tanya really made our first time home buying experience a breeze. She walked us thru everything, taking the time to explain things and of course - made sure we found the right house for us :)Thank you for all that you do, Brian and I love our new home!- Brian and Aisha "
"We recently sold our home and purchased a new home. When we decided to sell our home, we wanted an agent dedicated, friendly, and professional. Tanya not only met our requirements, but she exceeded our expectations. She is perfect package. Tanya demonstrated her dedication ad eagerness to help us numerous times. From conducting open houses, creating beautiful brochures and flyers, Tanya left no stone untouched. Her willingness to work weekends, holidays, and late house led us sell our home. She was by our side in every step of the way. Her work ethics are exceptional. We were never disappointed. She worked diligently to sell our home and helped us to find our new home. Tanya found the Perfect Spot for us!"